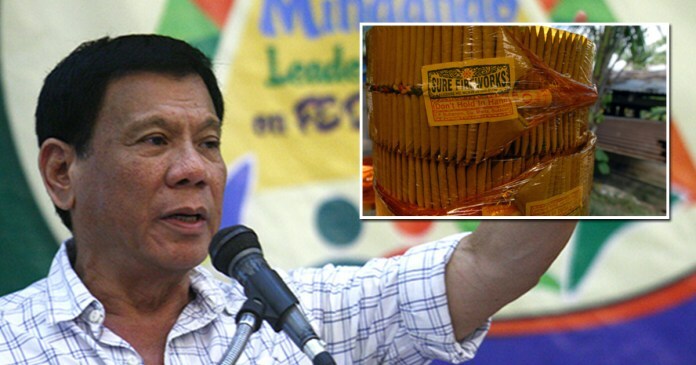 President Rodrigo R. Duterte prepared a new Christmas gift which the Dilawans can take advantage of. This new decision happened after hearing Jim Paredes' threat to light a firecracker against him and Leah Navarro's complaint about not having firecrackers. "If they want to have firecrackers then fine. I only banned firecrackers in residences but not in public designated areas. I give EDSA as a #TindigPilipinas only exclusive area where they can play with firecrackers all they want without police supervision. They can have all their freedom there and I will tie the area around with a yellow ribbon to specify their designation. That's where they can enjoy having firecrackers without police supervision and my repressive policy." said President Duterte during his Christmas morning interview. The new decision was respected and President Duterte sent men to tie EDSA Avenue with yellow ribbons. He called it a #TindigPilipinas exclusive area where they can play with firecrackers all they want for the New Year and in extension, it may also include Chinese New Year. A new restraining order was put that non-members of the new organization are not allowed to enter EDSA during those times. "Yes, I will give them that area without police supervision. They can play with firecrackers with their heart's content. But there's one condition. None of them should be crying hard when the firecrackers hit them or have the right to complain if somebody ran out of control. Also, no medical team will be there to help supervise them in contrast to the firecracker designated areas. They wanted to play with firecrackers all they wanted without restriction, right? I'll give it to them!" he added.